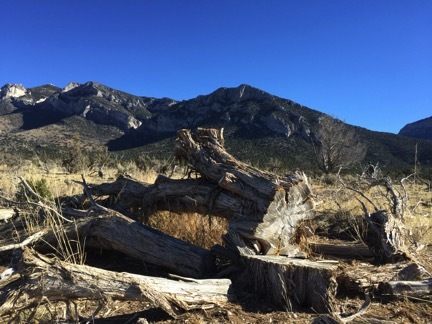 Two previous waves of deforestation swept the Great Basin. A third wave looms. Pinyon-juniper forests naturally cloak the mountains and slopes of the Great Basin. Native Americans relied on these forests for survival. Explorer journals and other records provide irrefutable evidence that pinyon-juniper occupied much of the landscape. Traces of old stumps and charred wood persist to this day. White settlement was fueled by wood from the forests. They were clearcut over vast areas for smelting mine ore, to keep the settlers warm, for railroads and for fence posts. Stockmen burned them off to try to eke out more grass. The second wave of deforestation took place following WWII in the 1950’s-1970’s when bulldozers, chemical herbicides, and industrialized clearcutting of trees and sagebrush took place. Rachel Carson wrote about the western public lands herbicide campaigns in Silent Spring. Trees (and sage) were killed to produce grass forage for privately owned livestock grazing the public’s land at rock bottom rates. Grazing had wiped out many native grasses, so this was a major new subsidy given to ranchers whose herds had destroyed the grass. Exotic Asian weedy cattle forage grasses like crested wheatgrass were seeded in place of trees, sage and the tender native grasses. At the same time, mazes of new barbed wire fencing intensified grazing, and killed and injured wildlife. Water “developments” gutted and piped springs for stock. Biologists raised alarm over declines in sage-grouse and other wildlife. The War on woody plants continued, but the full bore assault subsided to some degree. Sage-grouse decline continued as this industrialization of the land for livestock led to greater and greater depletion over time. At the same time, new energy development and mining ate up more and more wildlife habitats. 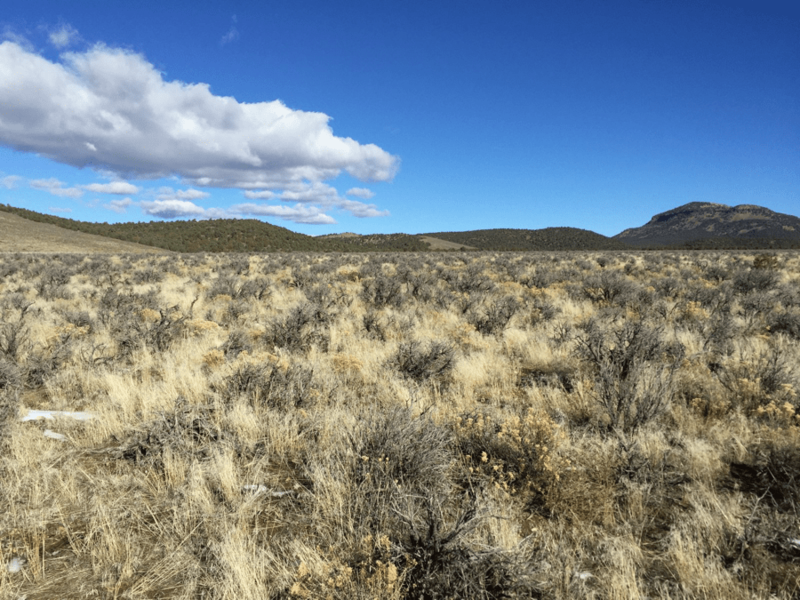 Disturbance-loving cheatgrass thrived. It adapted to increasingly choke sage under-stories and grow at higher elevations in vulnerable forested communities. Wildfires escalated, fueled by weeds, and climate. Scorched earth cattle grazing. Cave Valley, Nevada. Then in 2010, USFWS issued a Warranted But Precluded Finding – saying that Sage-grouse Listing was indeed Warranted, and the birds deserved to be listed as Threatened. But the FWS chickened out – and claimed that the Listing was “precluded” by other species being in more trouble, and FWS with its limited budgets needed to focus on them. The bird was placed in a “candidate” species limbo category. WLD’s Fite attended the hearing that preceded the ruling. There was considerable focus on the 2015 Settlement date being not too far away, and one of the groups that had settled argued in favor of the government. BLM promised sweeping new Plans amending its RMPs, and that the agency would “conserve, enhance or restore” the birds without Listing. All along, state game departments and BLM have fiercely resisted ESA listing. The delay gave federal agencies, the public lands ranchers, energy developers, miners and other exploiters of the public domain years to conduct a massive PR campaign and snow job against ESA listing. News articles about sage-grouse appeared on an almost daily basis in papers across the West. The themes changed from one week to the next. Stories generally fell into two categories. Be Very Afraid. Grouse will destroy the West. Frothed up politicians regularly fear-mongered. Warm and Fuzzy. There is no need to list because wondrous things are being done by caring BLM and ranchers (and vast sums are being spent) to save the birds without the bugaboo of ESA listing. Ranchers and agencies bonded over tree killing. The USDA’s NRCS “Sage-grouse Initiative” spent hundreds of millions of dollars on projects that greatly benefited cattle ranchers (more fences, more water developments, more intensive grazing schemes, massive tree killing to increase grass forage for livestock, and conservation easements that allowed all manner of land abuse to continue as long as no condos were built in the middle of nowhere). Each new barrage of funding and projects was ballyhooed with endless news stories. Money flowed so freely that agencies were basically begging ranchers to sign up for more grouse subsidies. The public is not even permitted to know the names of the ranchers who reaped this windfall. This is forbidden under a provision of the Farm Bill. BLM Districts, especially in Nevada, Utah and Oregon, (and some Forests) busied themselves with preparing NEPA documents legitimizing massive “treatments”, and major clearing of trees and sage with “Hazardous Fuels” and sage-grouse funds. Herbicide poisoned gray dead sagebrush and explosion of cheatgrass by sage-grouse lek area, Lake Valley Nevada. BLM was also busy shuffling the names and categories it used to describe grouse habitat of importance, and slashing the land area of habitats it considered to be of most importance to the birds survival. This was part of bending the BLM plans to accommodate the various rancher and development-friendly state grouse plans. The state plans were used to dumb down and weaken BLM plans. To aid in this effort, Interior Secretary Sally Jewell appointed a “Dream Team” for schmoozing the sage-grouse effort through. Two of three team members had never even seen a sage-grouse. http://www.eenews.net/stories/1060009471 Interior dream team parachutes into high-stakes sage-grouse rescue. The state groups were spoon fed information. Elaborate development-enabling mitigation schemes were embraced. Grazing got a pass. 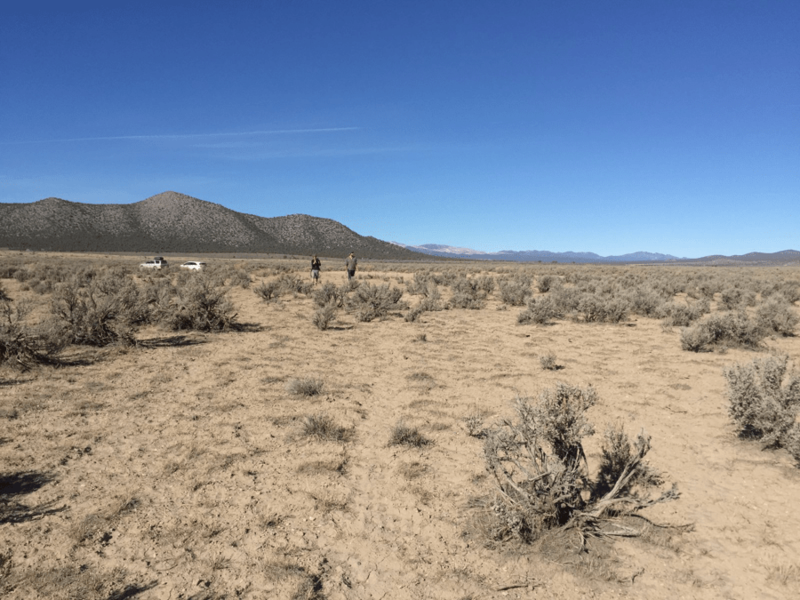 All the while, state Wildlife Department field technicians scoured sagebrush country looking for grouse. Intensive efforts were made to count every bird on leks, to support claims that populations were stable or increasing. Everything came to a head in September 2015. The new BLM plans were released. Grazing continues unchecked. New development is mostly allowed to proceed – justified by allowing industry to throw dollars at “mitigation”. Habitat categories segregated less and less land recognized as habitat into confusingly re-named categories considered to be of importance to the birds. The new “focal habitat” category represented the latest dramatic cut in highest importance habitat. The voluminous new Plan amendments are largely based on smoke and mirrors. The conservation effectiveness of the proposed mineral withdrawal reveals how much of what is promised is largely a conservation illusion. Instead of taking better care of the existing sagebrush habitats to protect them from flammable cheatgrass expansion, and admitting that denser forested areas are often the least likely to burn, the BLM plans are focused on massive deforestation. They are based on hubris of “saving” sage-grouse by imposing a mind-boggling 10,000 linear miles of fuelbreaks devoid of the natural trees and sage, yet seeded densely with exotic weedy cattle forage plants. Seven million acres of forests are to be destroyed – laid waste by whatever means possible – bulldozers and chains, masticator machines, a rain of herbicide poison pellets, and in some areas, promiscuous use of fire. This is a land area larger than the state of Vermont. Such treatments will cost billions of dollars. Sage too suffers “treatment” fates under the Plan. Elaborate vegetation models find sage is unhealthy”, “decadent” or too dense. So it too must be “treated”. Plus sage will be destroyed as collateral damage from the massive treatments scheme. Cheatgrass will thrive in the wake of such massive disturbance. USFWS hid behind the BLM smokescreen, and blessed the BLM Plans with its 2015 Not Warranted Finding, never questioning what such colossal manipulation of vegetation communities would do to the land. This series of events is now giving rise to an immense third wave of deforestation with irreversible impacts – sacrificing trees to create an illusion of saving grouse and suppressing fires. Fires are likely to rage more frequently and fiercely in the aftermath of the treatments that leave lands hotter, drier, windier, choked with flammable cheatgrass and other weeds. Cleared lands are more accessible to OHVs – vehicle catalytic converter fires target shooting and other human-caused fires are a major concern in the region. Fire season will be longer, too, as tree-denuded sites dry out several weeks earlier. USFWS September 2015 Finding relied on the new BLM plans chopping apart the Great Basin with 10,000 miles of fuelbreaks and 7.4 million acres of PJ and J treatments in its Finding that sage-grouse did not need to be protected under the ESA. What is taking place is laying waste to the land. To give the illusion of being able to “control” climate-driven wildfires, and so claim the new Plans effectively save the birds. Many recent NEPA documents have already authorized a battery of projects to take place over 10 years. These have largely been EAs, where BLM claims “no significant impact” for clearing dozens of square miles. A multitude of new projects are forthcoming, including under Categorical Exclusions. Many of the massive deforestation projects target sites where there are few grouse. No matter how many trees are killed or tax dollars spent, these sites are unlikely to ever be bountiful grouse habitats – too steep, rugged, full of rocky outcroppings, too arid or lacking the overall combination of features the birds need. Pockets of old growth forest that survived the previous waves of deforestation are now being destroyed. Even individual old trees are sawed down and groves violently uprooted with bulldozer chaining. Range scientists, whose interests lie with perpetuating the grazing of privately owned domestic livestock herds on public lands, have concocted elaborate models to justify the tree (and sage) “treatments”, the tree massacres, as Will Falk so eloquently describes. An Echo Chamber of USGS and game department scientists have fallen for the range claims. They have churned out paper after paper larded with elaborate models and manipulation schemes. The FIAT model is the latest scheme. This is another part of the distraction from taking better care of the habitat in the big sage expanses where sage-grouse want to be, and where the best hope for saving the birds lies. These models (and the scientists that developed them) ignore the historical record, forest ecology, and the evidence that is on the land – telltale old stumps, charred wood, and the combination of elevation and precipitation where trees naturally grow. Models have also been developed to claim that all trees within several miles of sage-grouse leks must be clearcut. If that were the case, then sage-grouse could never have occupied much of the Great Basin, Upper Snake, or eastern Oregon to begin with. Review of General Land Office Records shows dense sage, and trees interfacing with sagebrush, were part and parcel of the historical landscape (Bukowski and Baker 2013, for example). Models of “ideal” sage communities, termed “Ecosites” used by NRCS are based on inaccurate fire return and disturbance intervals and claims that sage should not be dense. Range papers depict the trees as water-sucking weeds, ignoring the local climate moderating effects that forested cover provides, the effects of livestock grazing-caused desertification over time, and annual chronic site drying from cattle trampling of moist soils and loss of vegetative cover. All forests transpire water. Yet pinyon-juniper are cast as villains. Public lands ranchers have always hated the trees, and anything that is not grass for cows to eat. So the trees must be wiped out to satisfy their grass greed. Just like native predators are “enemies”, native trees (and sage), or forage “competitors” like deer and elk herds that set foot on private lands, are enemies. Lynn Jacobs Waste of the West describes this mindset. This is THE book that digs deep into the dark underbelly of public lands ranching. Who Benefits from This Madness? Ranchers of course benefit – because killing trees and sage increases grasses, and maximizes livestock exploitation of nearly free forage on public lands. Clearing vast areas of trees also makes hard rock mining exploration and development, energy exploration and development, and aquifer mining a lot easier. The uglier and more unpleasant (hot dry, weedy, lifeless) the country becomes, the less the public cares about it – facilitating ease of trouble-free development. The tree massacres conveniently provide an excuse for agencies to authorize new development under the Plans. As long as an energy developer or miner throws a lot of money at killing trees, project impacts can be papered over and said to be mitigated. Big game trophy hunters have taken the side of the ranchers and developers, clamoring for tree massacres to try to grow more huntable antlered animals to be killed. Rather than address the role of public lands grazing in depleting big game habitat, or the many other ways ranching harms native ungulates. WildLands Defense is going to be tracking these projects, and documenting what is taking place.